It’s Fall so I’m pretty much obsessed with pumpkin scented everything. 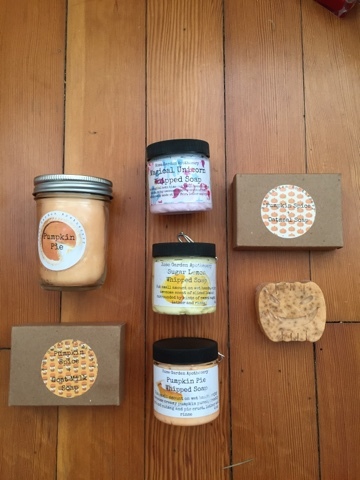 Pumpkin lotions, pumpkin face masks, pumpkin soaps, pumpkin candles, pumpkin tea, etc. I just can’t get enough so when I found a whole line of cute pumpkin scented beauty products on Etsy, I was sold in like two seconds. I opted to get the pumpkin spice soap duo in oatmeal and goat’s milk, a pumpkin pie whipped soap and a pumpkin pie candle that has a crackling wood wick. Yup, I’m pretty much in pumpkin scented heaven. 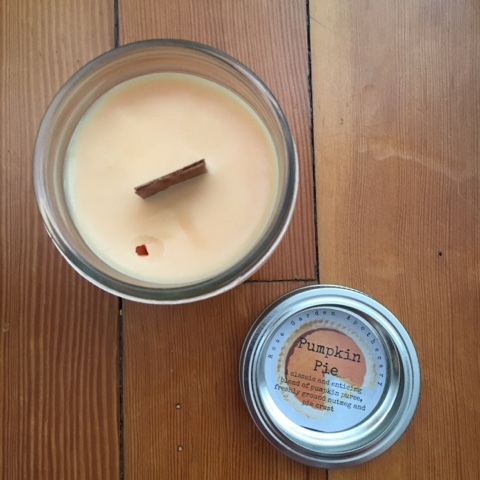 I was a little skeptical of the Pumpkin Pie scented candle because I had never used a candle with a crackling wood wick before. I was not disappointed. It definitely takes a try or two to light and stay lit, but don’t lose patience. It’s totally worth it. It definitely crackles, a little quietly, but I ended up loving it for a completely different reason, the light. Yup, totally weird I know. The flickering light the candle gives off totally reminds you of the type of light you would see flickering in a fireplace. I have wanted my own fireplace for forever now, but it’s definitely not something you’ll usually find in San Francisco. I love that this candle will give me a little flickering fire whenever I light it. Getting three different kinds of pumpkin soap can seem like overkill, but they are all amazing in their own way. The whipped pumpkin soap is perfect as a shave lotion substitute and smells just like you would imagine a pumpkin pie crust to smell. Perfect win-win. The Pumpkin Spice soap bars are perfect for in shower use with my favorite loofah. The oatmeal soap is great on my sensitive skin and left it oh-so-soft. Since I had so many soap products to try, I gave the Pumpkin Spice Goat’s Milk soap to my boyfriend to use. His skin can get a little dry and goat’s milk is great for moisturizing. 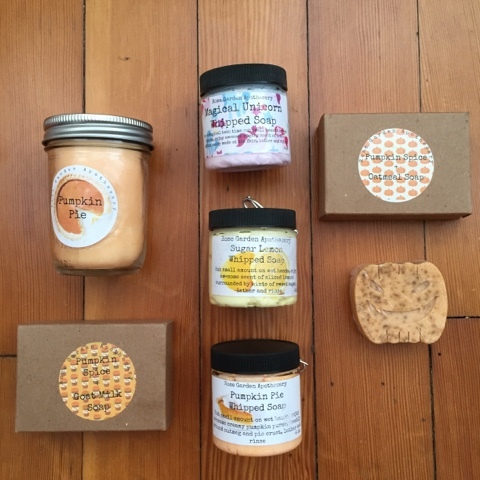 Are you obsessed with Pumpkin scented everything? Share with me in the comments below! I am all about pumpkin! 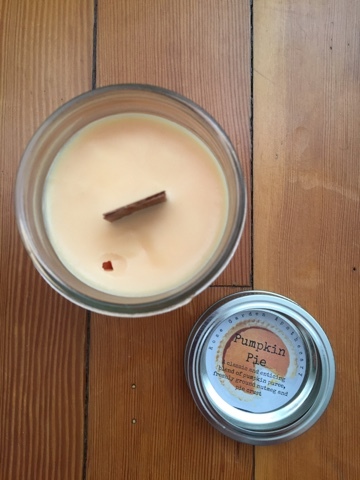 Fall scented candles are my favorite and I love the ones that have the wood crackle to them! I havent seen one of those in forever so I will need to check this company out! Pumpkin Pie Whipped Soap? That sounds heavenly! I love the smell (and taste) of pumpkin everything! 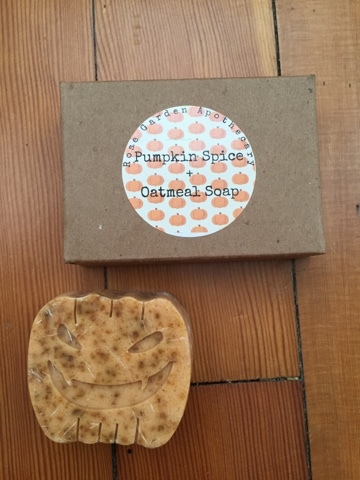 This pumpkin soap looks wonderful! I'd love something like this! thank you for sharing!